It’s been nearly two years since I’ve written anything here and nearly three years since I announced a “hiatus” for this blog, but as I was writing my endorsements to post on Facebook, I thought I should post them here as well. This will probably be my last blog post for a very long time, but if you’d like to keep up with my thoughts on Oakland, BART, transit, land use, and plenty of other issues, I tweet regularly and like to engage there. Follow me – @RebeccaForBART – or if you’re not on Twitter, follow me on Facebook. Now, to the endorsements… You might have noticed that there are a LOT of competitive races and ballot measures on the ballot this year. So I have not endorsed in all of them, just those where I feel the most strongly. I’ve offered some resources below that cover many of the other races. 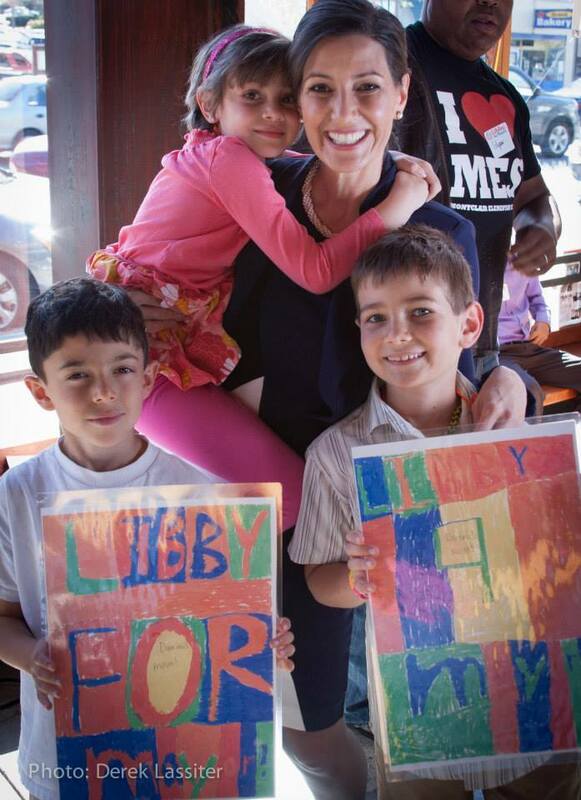 Oakland Mayor – Libby Schaaf: I’m so excited that Councilmember Libby Schaaf is running for mayor. I’ve long supported her (and worked on her council campaign), and I’ve been incredibly impressed by her time on the council. I’m supporting Libby because she is the smart, creative, and effective leader that Oakland needs as mayor. In one term she’s accomplished so much, and many of her accomplishments have been hard fought and on controversial issues. One example of this is the compromise she led on tenant and rent protections earlier this year. Tenants advocates and landlords had been at odds over this, and Libby was able to get them to compromise on real reforms both sides could agree on. This is just one of many examples of Libby’s ability to listen to all sides, consider all opinions, and to find solutions to difficult policy problems. Libby recently released policy papers on all of her major priorities, which include what she’s done on these issues and what she plans to do if elected mayor. I highly recommend reading them, especially if you’re still undecided in the mayor’s race. 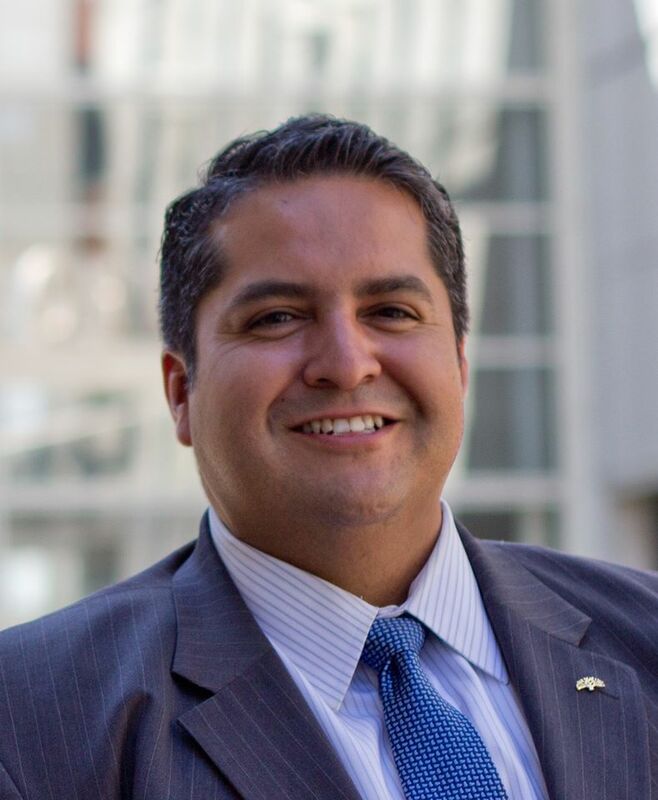 Oakland City Council, District 2 – Abel Guillen: I was one of the many people who asked Abel to run for this seat because of how impressed I’ve been with his leadership as president of the Peralta Community Colleges Board. He’s led the board through difficult financial times, making tough financial decisions and balancing the budget year after year. He also has strong experience partnering with other government agencies – something that Oakland could do a lot better at – having spearheaded the AC Transit pass program for Peralta students. The bus I ride daily goes to Laney College, and every day it’s jammed with students, some of whom might not have been able to afford the bus, would have forgone other expenses to pay for transit, or would have driven if they didn’t have the AC Transit class pass. I’ve known Abel for years, and I think he’d be able to work well with everyone on the council and whoever gets elected mayor, which is an important quality to be able to get anything done in Oakland. 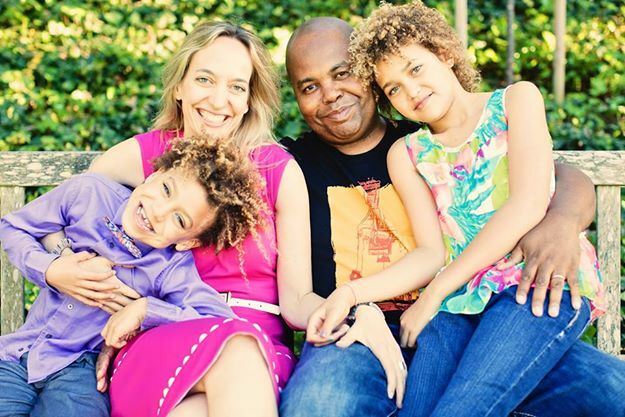 Oakland City Council, District 4 – Annie Campbell Washington: Annie is incredibly qualified to be on the council, having served as chief of staff to two Oakland mayors and the Oakland fire chief, and currently serving as an Oakland school boardmember. Like Abel, I think she would work well with other councilmembers and whoever is mayor. Libby’s shoes are going to be hard to fill on the council, and I think Annie is the best person to take on that challenge. Yes on Measures CC: The Public Ethics Commission is woefully understaffed and could do a lot more with more resources. Yes on Measure DD: The City Council now creates its own council districts; this measure creates an independent redistricting commission instead, which hopefully will create a more fair redistricting process. Yes on Measure FF: The minimum wage is far too low for anyone to live off of in Oakland, even if working multiple jobs. I strongly support this measure that would raise the minimum wage to $12.25, establish cost of living increases over time, and mandate paid sick leave. Yes on Measure BB: This incredibly important measure would fund BART, AC Transit, local street paving, and bike and pedestrian infrastructure. With federal and state funding for transportation projects dwindling, this measure is critical. 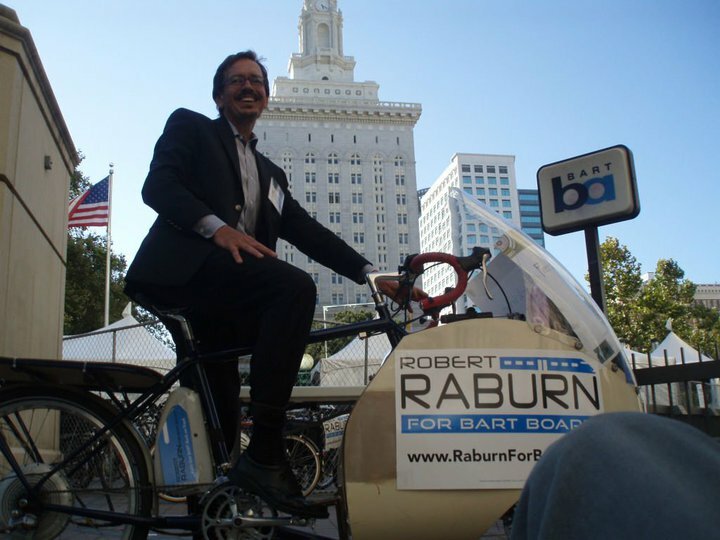 BART Board, District 4 – Robert Raburn: I supported him when he ran for years ago, and I now have the pleasure of serving with Director Raburn on the BART Board. He is incredibly hard working and engaged in his district – which covers much of Oakland, all of Alameda, and part of San Leandro. He’s most well known for his leadership on bike access on BART, but he’s also been a leader on transit-oriented development, reinvesting in stations, and improving connections with other transit systems. Controller – Betty Yee: I’m choosing this to highlight out of all of the statewide races because of how strongly I support Betty Yee. She is incredibly qualified for this job, having served on California’s tax commission – the Board of Equalization – for eight years, and having worked in government finance for decades. She is also one of the most caring and thoughtful elected officials I have ever known, and is someone I’ve looked up to for many years. Berkeley – No on Measure R: On the BART Board I represent much of Berkeley, including downtown Berkeley. Over the past several years, since the City passed new downtown zoning rules, development has really taken off. Many apartment and condo buildings have been built, and many more are being planned. With more people downtown, local businesses have flourished too. Measure R would halt much of this progress, slowing development in one of the most transit-rich and walkable areas of the East Bay. For details on why Measure R is bad for Berkeley and the environment, check out TransForm’s analysis of the measure. Berkeley City Council, District 8 – Lori Droste: Lori would bring great new energy to an often divided city council. She is smart, involved in the community, and can work well with different Berkeley factions. She also cares a lot about some of the issues that are most important to me – transit, housing, and land use – and she is opposing Measure R. I’m also supporting Councilmembers Linda Maio and Kriss Worthington for reelection to the Berkeley City Council. They both have been great partners on BART issues. El Cerrito City Council – Janet Abelson & Gabriel Quinto: Mayor Abelson is a long time transit advocate and has been a leader on developing denser zoning, bringing transit-oriented development to El Cerrito, and improving bike and pedestrian infrastructure. Gabriel Quinto is an LGBT leader in the East Bay, and is very engaged with his El Cerrito neighborhood and the larger city community. He’d be a great addition to the council and another strong vote for transit and development near transit. This choice is made even easier because the opponent to Abelson and Quinto opposes the zoning plan recently adopted by the city and opposes adding denser housing and development to El Cerrito. For the races I didn’t cover, I highly recommend the East Bay Express endorsements and their endorsement analysis. I particularly appreciate that the Express made many of their local endorsements based on candidate positions on land use, transportation, and housing. These are some of the most important local issues, and they are issues that mayors and councilmembers can hugely influence. If these are issues that matter to you, you should also check out the Transport Oakland endorsements (I’m part of Transport Oakland and was involved in the endorsement process). If you’re still trying to figure out the Oakland mayor’s race, particularly your second or third choice votes, check out Oakland Mayor 2014 website. The site asked all of the mayoral candidates questions on important city issues, and many of the candidates responded. The site also features profiles of all the candidates that include their answers to these questions, ballot statements, campaign finance info, and more. For years I’ve used the League of Women Voters Smart Voter website as a resource for measure and candidate information. Now the League has partnered with MapLight on Voter’s Edge, which includes all of the useful info from Smart Voter, plus new tools, including the ability to mark your online ballot and share it via email, Facebook, or Twitter – or just print it to take to the polls. Whoever you’re planning to vote for, please remember to vote on Tuesday, November 4th! It is too late to mail in a ballot, but you can drop it off at any polling place in the county on election day or anytime before election day at the 24 hour drop box at the corner of 12th and Oak Street (at the corner of the County administration building plaza). And remind your friends to vote. This is expected to be a very low turnout election, so every vote counts. ← Uptown Art Park grand opening this Friday night!